Mary was born with a unique and beautiful voice winning many talent contests. 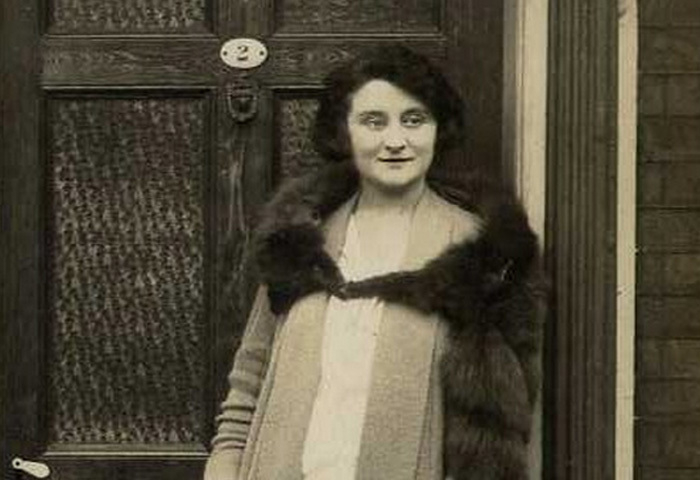 Mary, having started to make a name for herself in Scotland’s music halls, moved to London at the age of 17 with a brother Joe to seek fame and fortune. It was here that her entertainer and impressario uncle, Ted Stebbings, taught her how to impersonate a boy singer to replace one who worked for him whose voice had broken. Mary could imitate a choir boy to perfection, so despite being female, Mary came to prominence as a singing boy. Mary, who was 5ft tall with jet black hair, dressed in short trousers and black jacket, her chest bound with bandages to hide her female form. With the stage-name Master Joe Petersen, she performed complete with Eton collar. This popular act, promoted by her uncle Ted, brought radio appearances and recording contracts in the 1930s. In 1933, Crystalate Records of London signed her up, billing her as “Master Joe Peterson, the Phenomenal Boy Singer”. She became a huge variety star in Britain and on the continent. But Mary was not happy and did not want the ‘boy charade’ to continue as she wanted to record in her own name but was dissuaded from leaving ‘Master Joe’ by her uncle. Having become pregnant, she married an orchestral violinist, George Lethbridge, in 1933 but the marriage was an unhappy one. The Second World War commenced and Mary’s husband George joined the army, and Mary is left to look after her six year old daughter Margot. The last Master Joe recording was released in 1942. Mary then began to drink heavily. George stayed in the army after the war achieving the rank of Major, and the marriage collapsed in 1952. After the breakdown of her marriage, Mary returned alone to live in Glasgow,leaving her child behind. Mary still performed as Master Joe through the forties and into the fifties, even appearing on STV’s “One O’clock show” as Master Joe in 1963, aged fifty. Their daughter Margo died in her forties following an illness. It is believed that Jimmy Logan helped to organise Mary’s funeral which he attended along with Glen Daly and other artistes, given her popularity as one of the best loved artistes in the Glasgow halls.Mary was often seen in the famous ”Logan Family” shows in Glasgow’s old Metropole and later in Jimmy Logan’s New Metropole. It was said that Mary always brought the show to a standstill, such was her stage presence.